Mercedes won’t like me for pointing this out but the infotainment screen on the GLC is an absolute eyesore. Somebody has gone to great effort to ensure the centre console is slick and smooth – somebody else decided to stick an ugly screen in the middle. It’s like sitting in a beautiful lounge, with every seat facing an ugly black TV screen. What’s that all about? I recently visited a hotel in Scotland with a large, gilt edged mirror in the bedroom. Turned out to be a TV when you found the on/off button. Brilliant. It’s not just Mercedes, many cars have the carbuncle problem. Perhaps a unit that simply disappears into the top of the dash when not needed is the answer? You might think that after 50 odd years I would have mastered the art of stepping out of a car. In the sixties, debutants were taught how to step in to a car in the most demure way possible. Not easy in a skirt and high heels I imagine. Now it seems I need to retrain myself for cars like the Mercedes GLC, which have side steps. For every time I leave the driver’s seat, I can’t stretch beyond the edge of the step itself. This results in a dirty line down the calf of my trousers – and no end of dirty words coming from my mouth. So who decided we need steps to get in and out of an SUV? Land Rover nailed it with retractable side steps on the Range Rover but personally, I can;t see the point. I think I might have found an SUV that I actually want to buy. Perhaps because the GLC shares its platform with the excellent C-Class – this is the best mid-size SUV I’ve driven in ages. The GLC isn’t going to set your pulses racing but as an all-rounder it ticks many boxes. Great looks, sensational interior and a very decent engine that pulls well. It’s also refined and built like a proper Merc – a decent clunk when you shut the doors and oozing quality. It’s been a bit of a SUV-fest on Car Couture of late. All that will change shortly but in the mean time, the Mercedes GLC is one of the newest models in this expanding sector of the car market. And it’s a beauty. Mercedes has been generous by lavishing the GLC with a fantastic, premium interior and good looks. It’s a cut about the blandness of several key rivals – although the rear end is less exciting. Ignoring the ridiculously quick AMG GLC 43 and the 3.0 V6 350d, the more powerful model most buyers will opt for is our 250d.With 204bhp it is the perfect all-rounder for real-world driving. Top Gear describe the new SLC as a shrunken SL – and that’s very good comparison. 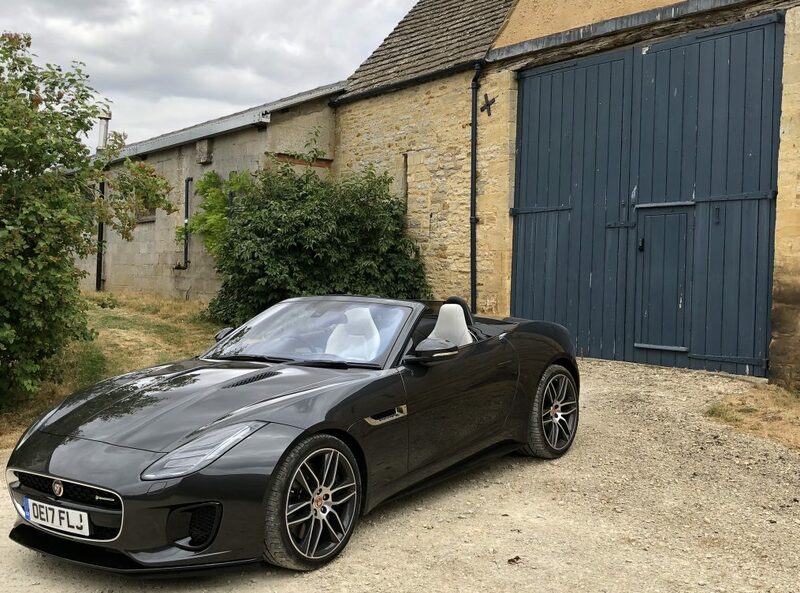 Driving around the countryside on a cold November morning, I feel warmly cocooned in a luxurious cabin that’s more comfortably than a Boxster but less agile and engaging too. Sadly, by dumping the old V8 engine for a twin-turbo three-litre Mercedes has rather sucked the pleasure out of a potentially fun car. The folding hard-top makes it very usable as an all-year round two-seater but as a cruiser, not an out-and-out sports car. Of course, that will make the Merc fit into many people’s lives perfectly well. They can choose from a range of frugal engines – including a diesel – costing considerably less than the AMG43 too. But it does feel like Mercedes has missed a trick here with the new SLC. This revised model was a chance to leapfrog the Boxster and Audi TT with something ‘of the now’ rather than the past. Porsche Boxster or Mercedes SLC – where would you rather sit? It’s interesting to compare the interior of a Porsche Boxster with the SLC. Both are premium brand two-seaters but very different in the cabin. I’ve long complained that Porsche are miserly with their equipment levels. Even my last 911, a 991 Cabriolet from 2012, didn’t have a DAB radio as standard – and there was no option for a retro upgrade either. I also find Porsche buttons and dials less tactile than those in a Mercedes. For my money, the Merc is a far better place to sit. The big, comfortable seats feel more substantial, comfortable and refined. The Airscarf system (that blows hot air onto the back of you neck) is especially good and being a larger car, there’s extra elbow room. I think I might owe the SLC a grovelling apology. I thought it lacked pace – I simply couldn’t find a road long enough around south London to open up the throttle. Well driving back to the Cotswolds in the fog last night I finally got my chance. After a lacklustre drive up the M4 motorway I slipped the SLC into ‘sport’ mode and let rip. Wow! It’s a flyng machine. 0-60mph in 4.6 seconds and finally, a decent crackle and pop from the exhaust too. It’s no Porsche Boxster or Audi TT for handling (although it’s more comfortable than both) but I was afraid Mercedes had ruined everything by disposing of the naturally aspirated V8.